I’ve taken time to retreat in the past–to get straight, to write, to recharge. My most recent retreat was to Wellspring House in MA where I found friends, some space, and a new way to enter a draughty novel. In July, I’m planning on spending a few days prior to the reunion holed up at Maine Idyll in Freeport. My hope is for a few days solitude and writing. Retreating into quiet works for me, and I’m rather hoping it might work for you. You see, I have a home (“3Bears”) that’s standing empty. It’s not just a house; it was my home, my five-year bolt hole. But now I’m trying a new living arrangement. Given the lousy housing market and the fact that writing retreats are horribly expensive, I thought I would try something a little creative. 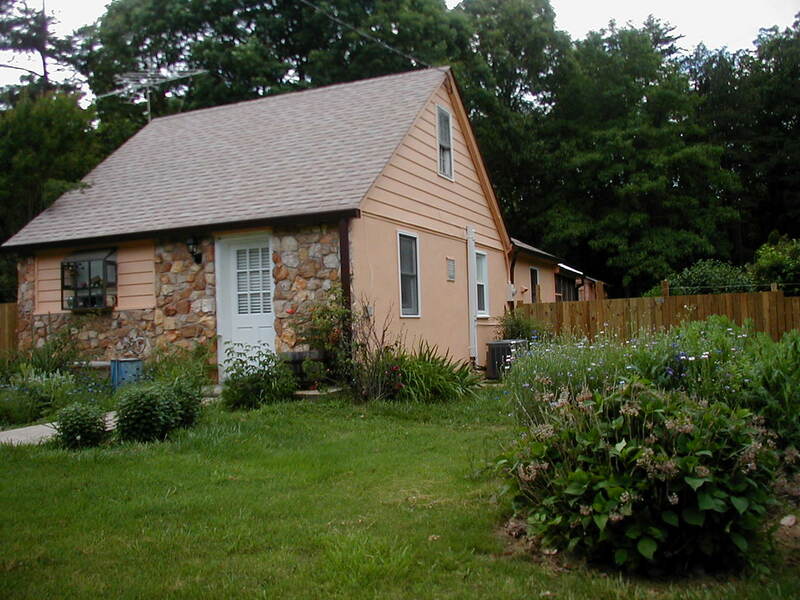 I’m offering this little house as a short-term (say 1-4 weeks), quiet, writing hide-away to Stonecoast Alumni at a reduced weekly rate of $300 inclusive. It has one bedroom (queen size), a little office/writing room, kitchen-dining room, a living room, recently renovated bathroom and a large screened porch. Hardwood floors, books, no phone and no internet. The backyard is about .75 acres and it’s fenced, so I could be open to writers and their house-friendly pets. I know in the past I’ve ended up paying more for the dog’s lodging at the vets than I have on my own. The nearest town is about 2 miles away with a library (Wireless), a supermarket, a post-office, Subway, Hardies, Chinese take-away, and a few other small stores. The Blue Ridge Parkway is an hour away. As is Charlottesville. Lynchburg, the closest town, is about 12 miles down the road. VCCA is about 30 minutes away. I’ve already taken one booking from a Stoner, so my toes are wet. If you’re interested, or want to know more, email me at bgoodjohn@gmail.com.